With Spring and Summer just around the corner (fingers crossed) there are so many ways that you can enjoy the great outdoors with your child at home. It’s as simple as getting out of the house, and into the garden. You’ll be surprised by just how much fun you can have. So here are some super simple ways to help both you and your child enjoy spending time in your garden. This is a lovely activity to do together, and it will really encourage your child or toddler to get to grips with gardening and how things grow. You could give them their own plant pot, and allow them to add the compost and help by planting the seeds, bulbs or flowers. They will definitely love this, and probably enjoy getting messy at the same time. I know that my 31 month old toddler would really enjoy this activity, and would want to be updating all of our pot plants with pretty flowers. Treat your garden as another playground for them, it will make some days easier for you rather than trekking to the local park. 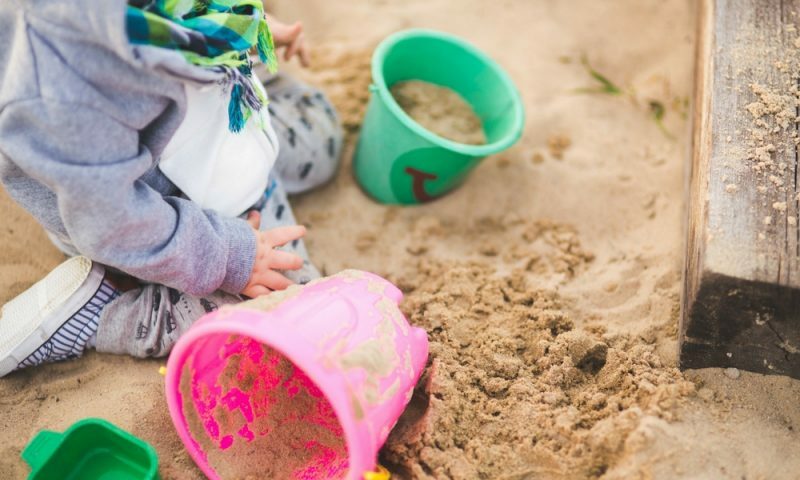 You could think about getting a slide and swing for them to play on, or even a sandpit where they can create their own beach and sandcastles. See your garden as a source of adventure for them, and it should then be a place that they enjoy spending time in. To ensure the best of both worlds for both you and your children, invest in patio and garden furniture from Groupon who have exactly what you need. This could be a patio table and chairs set in a style and colour of your choice, where you can relax and watch your children from. And, for your children this could be a cool wendy house or shed where they can bring their friends, or act as an outdoor space for them to play. It could also double up as a place for their scooters, bikes and outdoor toys to be stored as well. Whatever shape or size your garden you will be able to complete a bug, wildlife or bird hunt with your children. You could create cards that contain different types of insects, and ask your children to find them. Or alternatively you could ask your children to draw what they find. This is a brilliant way for them to learn more about the great outdoors, and the wildlife that they can find on their doorstep. Mud kitchens seem to be really popular at the moment, appearing in schools, nurseries and parks. They are a brilliant way for your child to spend time outside, and a good opportunity for you to get rid of a few old pans and utensils. At the same time your child will enjoy playing with mud and water, whilst learning important social and sharing skills. If a mud kitchen seems a bit far fetched for you, just think it’s better for them to be playing outside with mud, rather than being indoors making a mess. 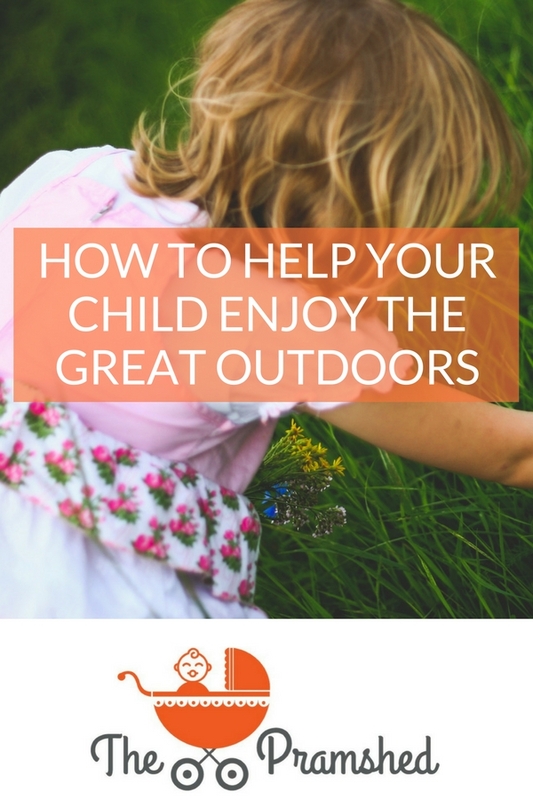 So those are my top tips for helping your child enjoy the great outdoors at home. Spending time in the garden when the weather is warm and sunny is a great way to enjoy the day, and you could also have an outdoor picnic at the same time as well. 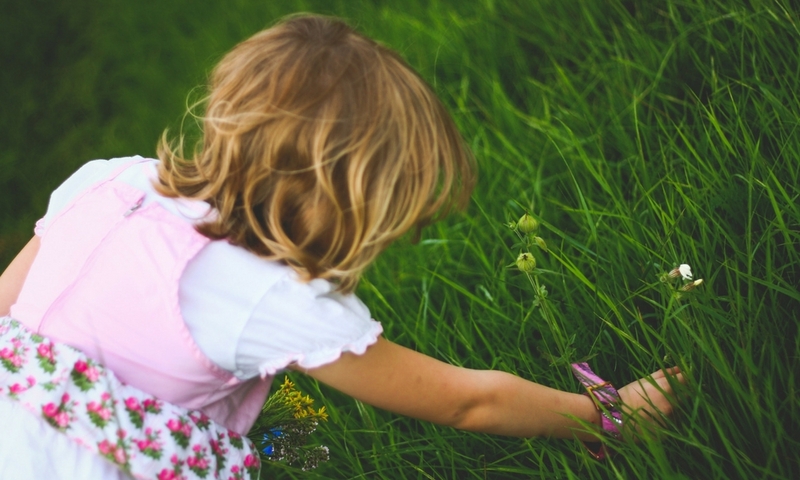 How do you spend time outside with your children at home? Great ideas here. I plan to plant more this year with my boys as they loved harvesting their crop last year! Tubbs recently posted…Beauty Items I Won’t Be Buying. The Anti-Haul. This is a great post, Freddie loves playing outside, although the thought of a mud kitchen would freak him out!! He hates getting messy!!! This is such a fabulous post! Our little one adores the outdoors but, unfortunately, the previous homeowner put in rock landscape in front and back and didn’t do it properly so our yards are danger zones. Our daughter loves going for family walks and going to work with Dad at the golf course so she can run around the grass. We can’t wait to get our yards fixed and get some outdoor furniture so we can enjoy it! Great ideas!!! I am looking forward to getting our garden started if it ever stops raining and stays warm long enough. So funny that you suggest doing a mud kitchen…growing up in the country that was our greatest pastime making food from mud and various plants. My parents didn’t love the endless mudpies laying around or the big ditch we once dug across the driveway to make a stream. lol. But as a parent, living in town, I sometimes wish my kids would just go outside and get dirty. I can’t wait for the warmer weather to get outside more. So far they have been in the garden twice this year!! The Squirmy Popple recently posted…Want to make things better for mothers? Sort out paternity leave.